Your current and future ‘building bots’ are hungry. They’ll eat anything you’ve got — proprietary protocols streamed from big equipment, data sent wirelessly from any radio, M2M communications from a cellular network, someday even li-fi data from networks that use the spectrum of visible light. The challenge is in the preparation. As the National Institute of Standards and Technology (NIST) explains in this press release announcing the opening of its new learning laboratory for studying them, ‘building bots’ are artificial intelligence agents – cousins to search spiders and machine learning routines for robotics. 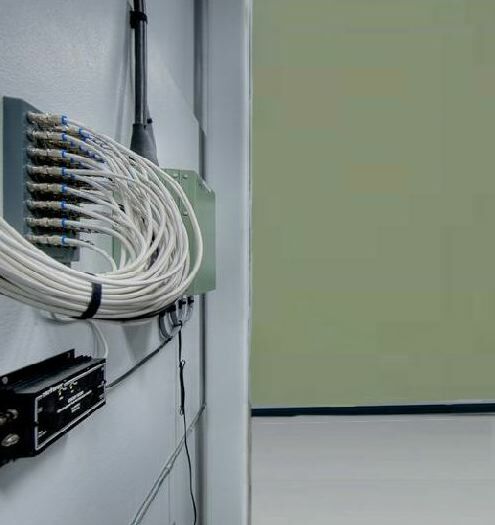 Their communication signals are becoming just one more level of data exchange in a building — another level that needs to be integrated with BACnet streams, Ethernet TCP/IP -XML communications, Wi-Fi and wireless protocol data, etc. This magazine will explore what it takes to prepare data for a building systems integration project today and how the buildings industry and Big Data scientists are working together to make this job easier in the future. The buildings industry knows from experience that it is not always going to be a smooth ride: competing protocols are going to wax and wane in popularity based on their technical merits and the market-share battles being waged in the background by their corporate supporters. We will cover those battles and feature advancements in the semantic web and in open source efforts for tagging, particularly Project Haystack which has gained wide traction in the building automation industry.